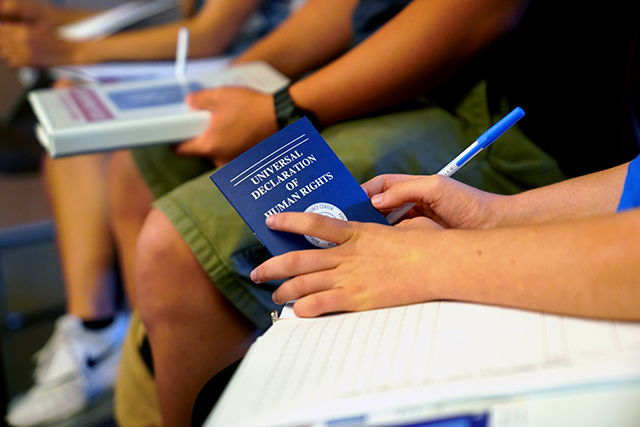 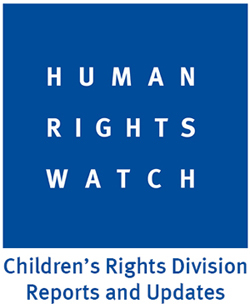 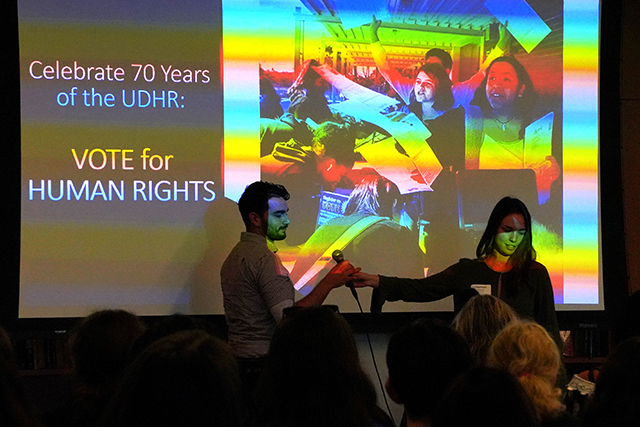 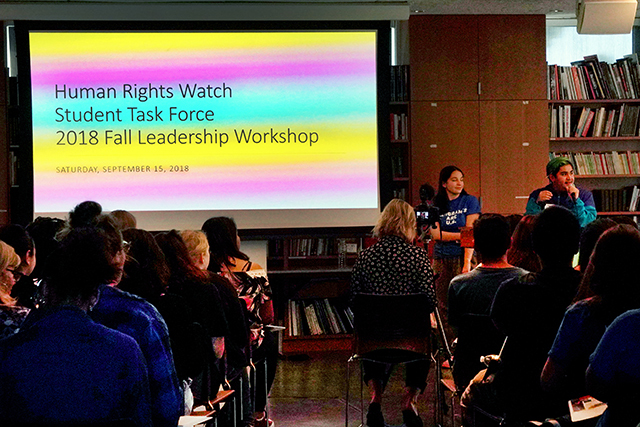 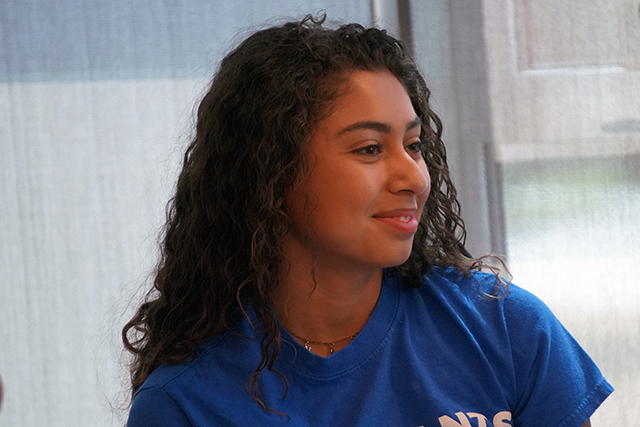 September 15, 2018: Inspired by the 70th anniversary of the Universal Declaration of Human Rights (UDHR), the HRW Student Task Force members are calling on their friends, families, classmates, teachers and communities to vote for human rights in the November 6 midterm election in our Vote for Human Rights Campaign. 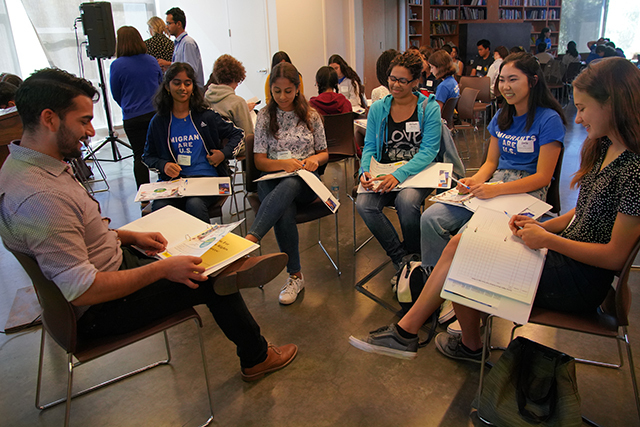 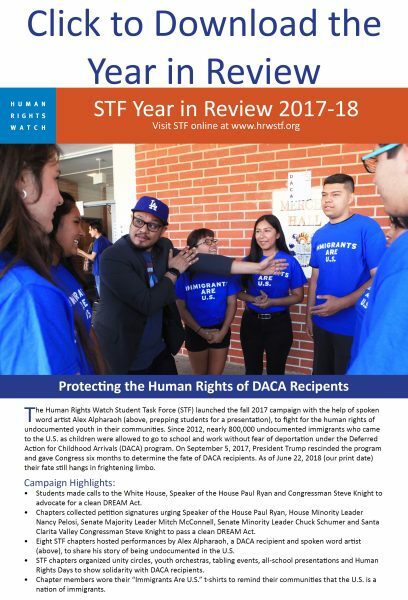 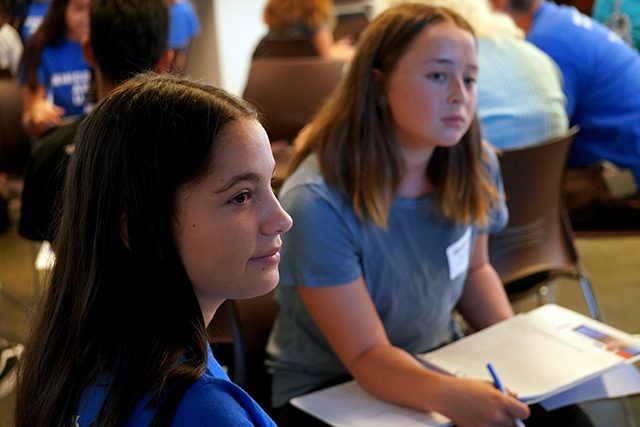 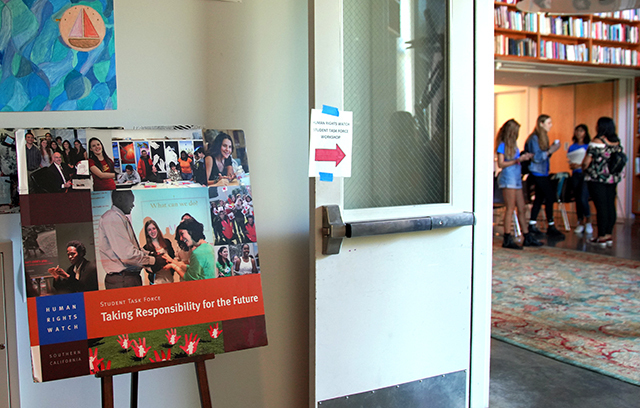 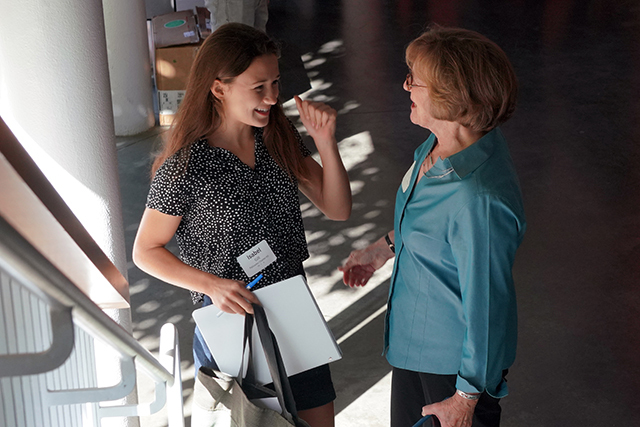 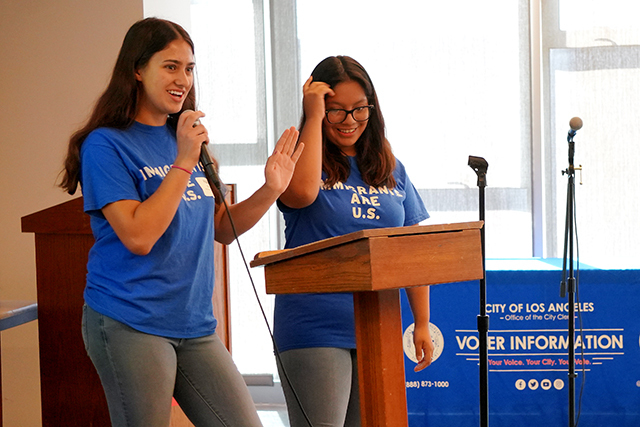 STF officially launched its fall campaign at the 2018 STF Fall Leadership Workshop, where students and teachers were joined by representatives from the Los Angeles City Clerk’s office. 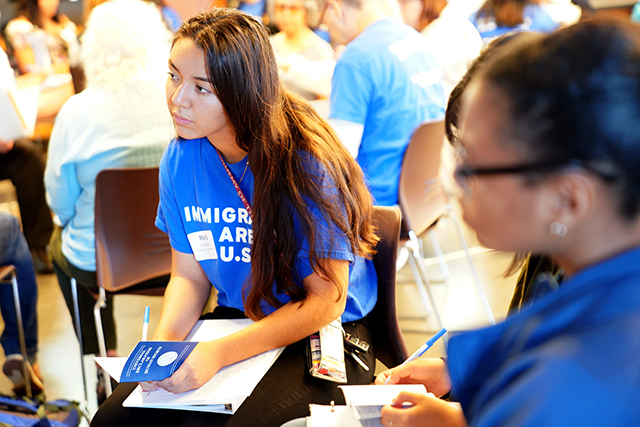 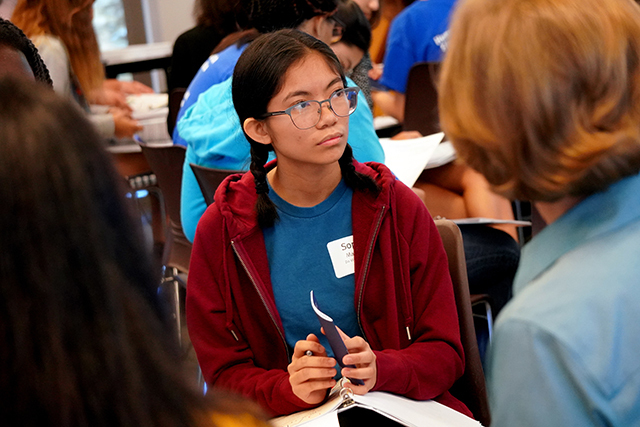 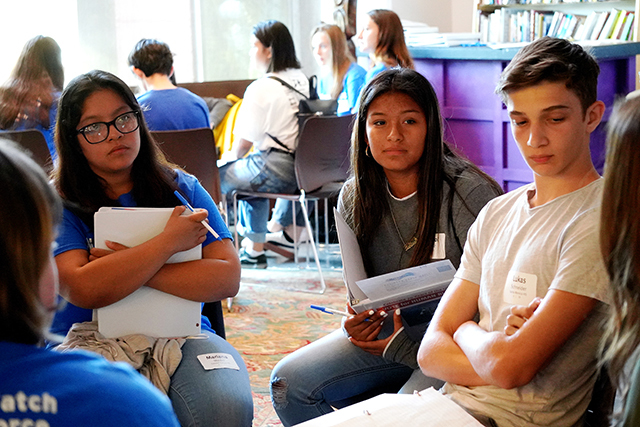 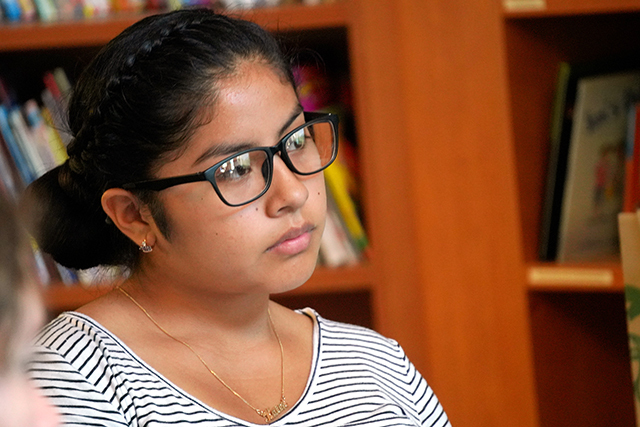 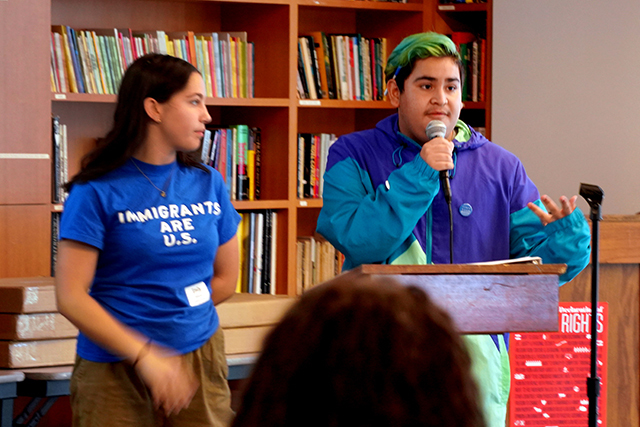 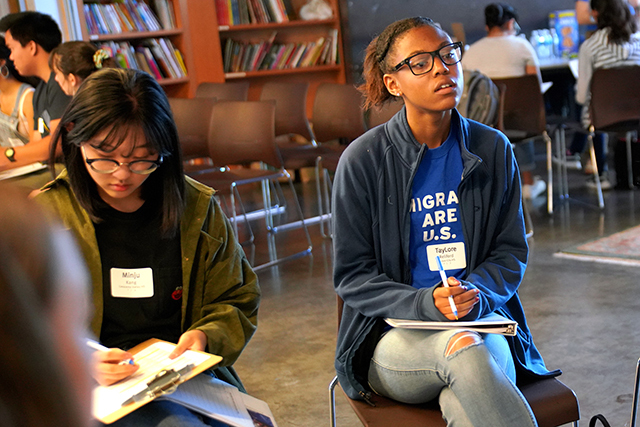 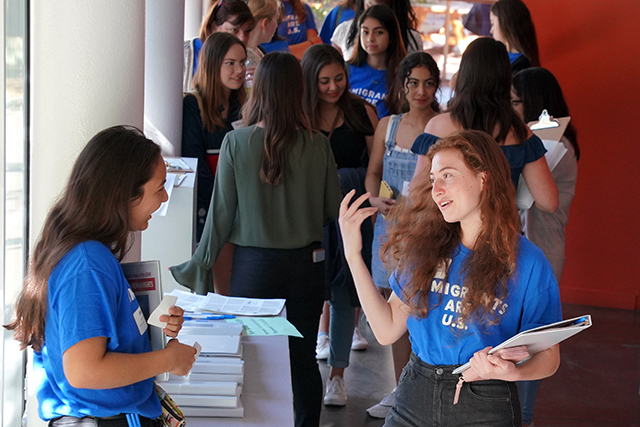 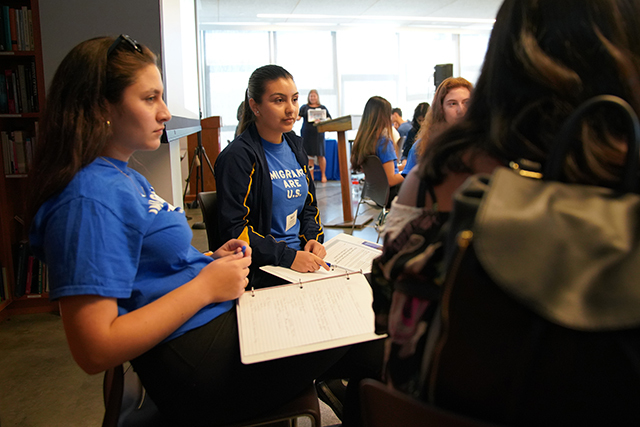 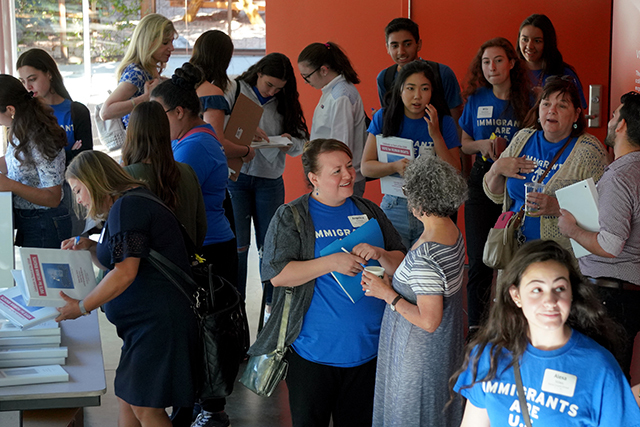 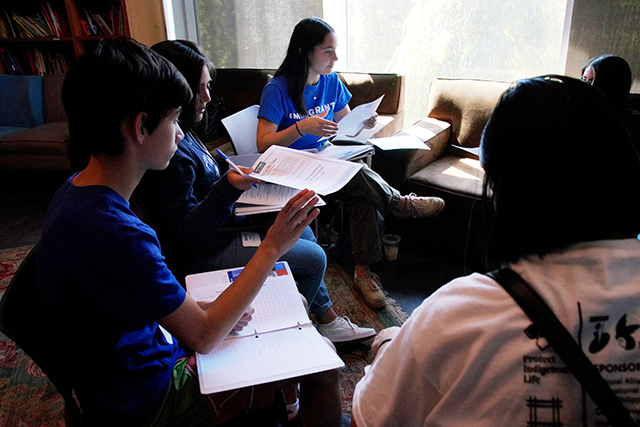 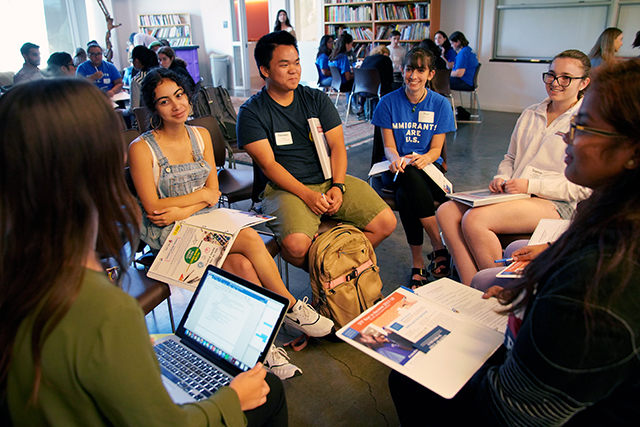 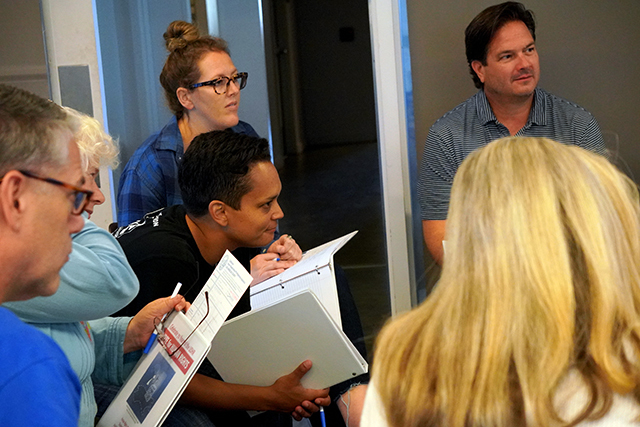 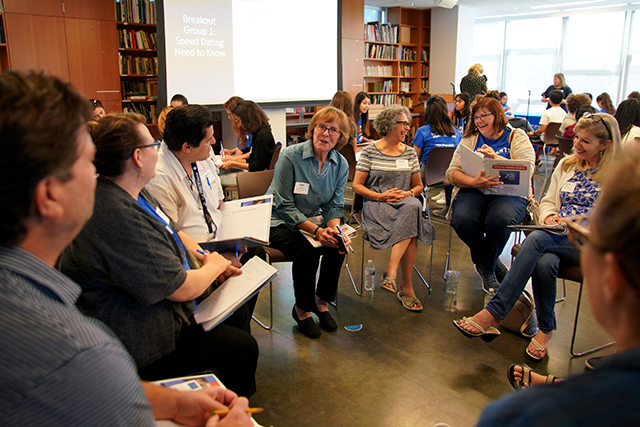 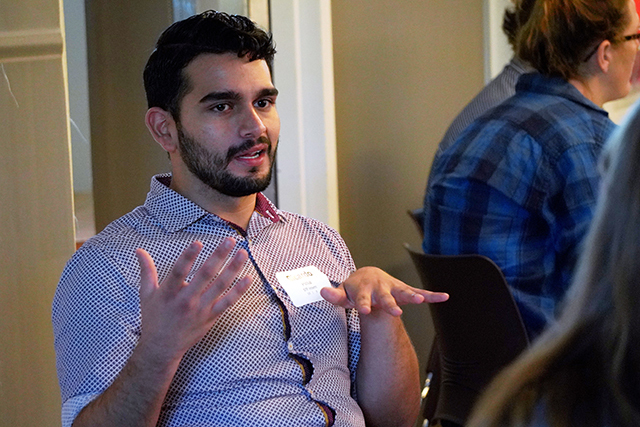 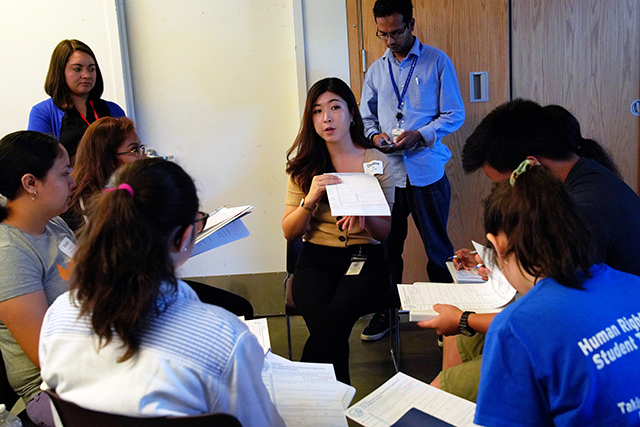 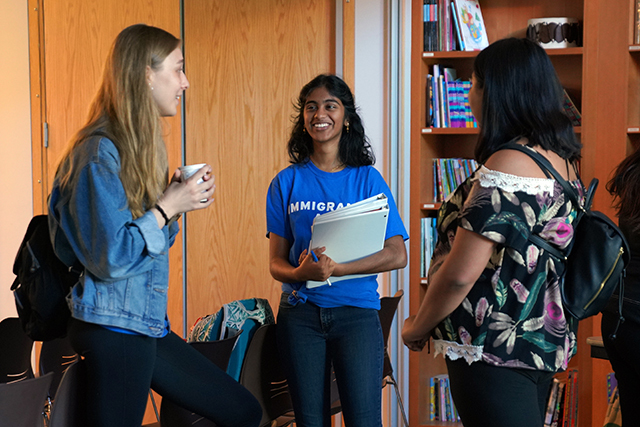 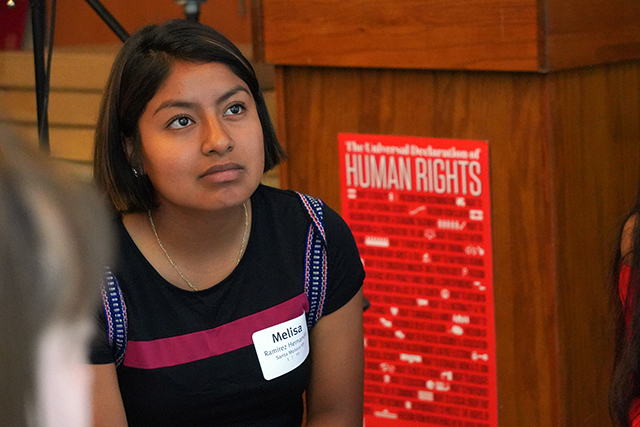 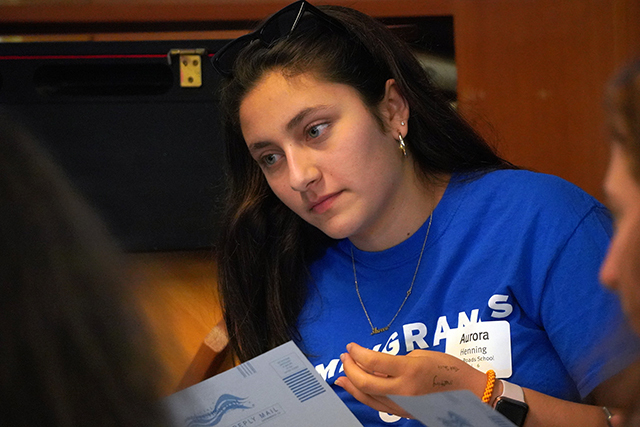 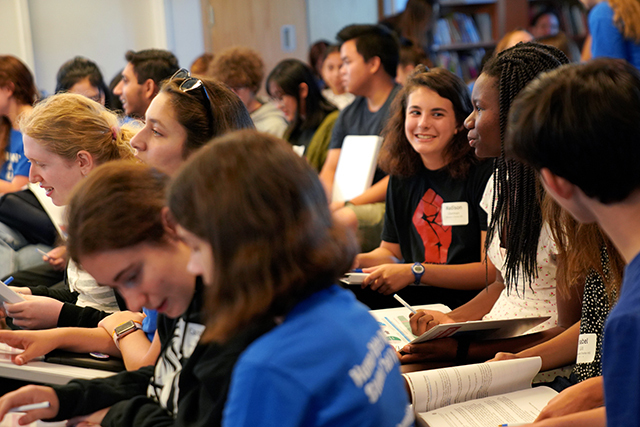 Participants experienced how to register and preregister California voters and brainstormed ways to educate their communities about how to vote for candidates and policies that protect human rights, specifically the human rights of DACA recipients and students’ rights to a safe school. 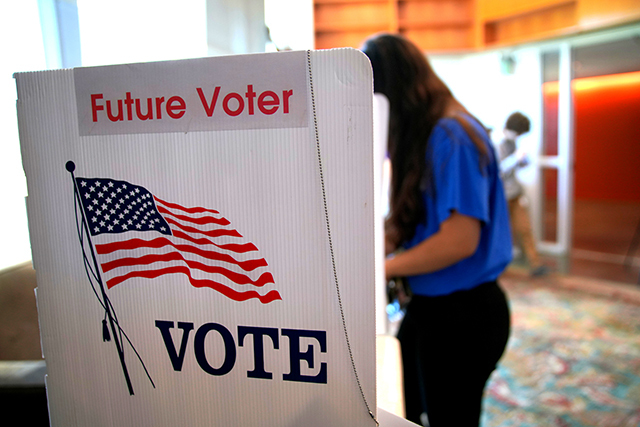 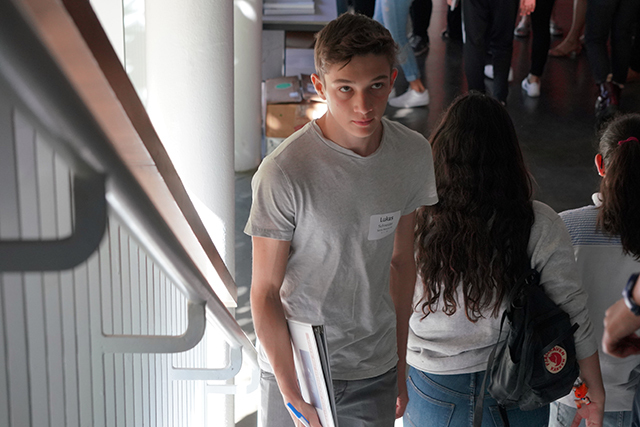 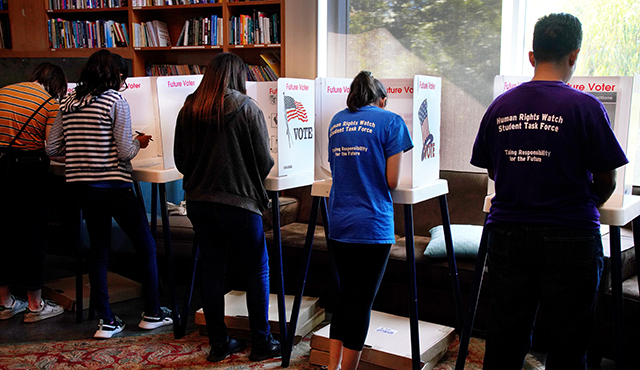 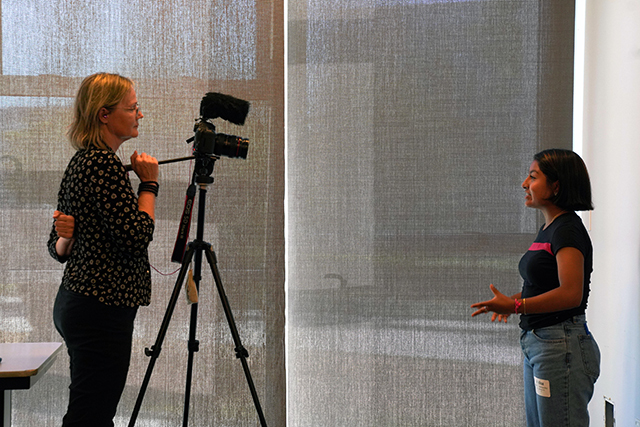 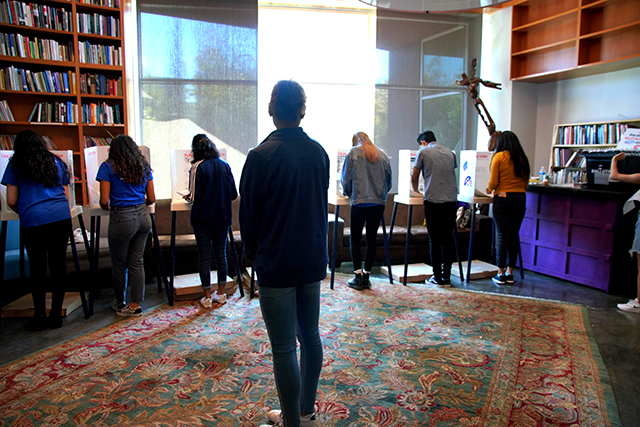 Students who are too young to vote in this election pledged to find eligible voters who need to register and encourage them to make their voices heard for human rights. 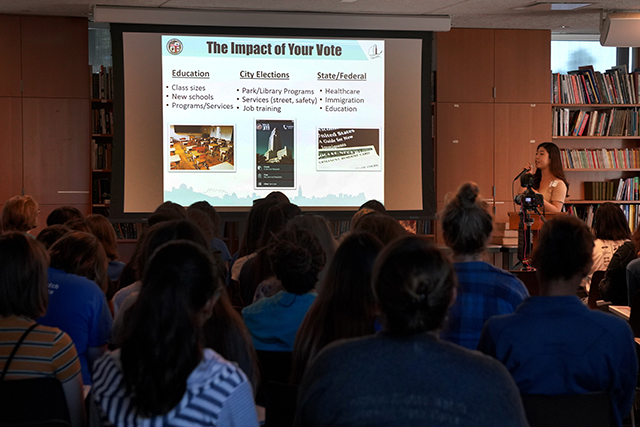 The more than 80 attendees also took part in a mock election, which many will repeat at their own schools. 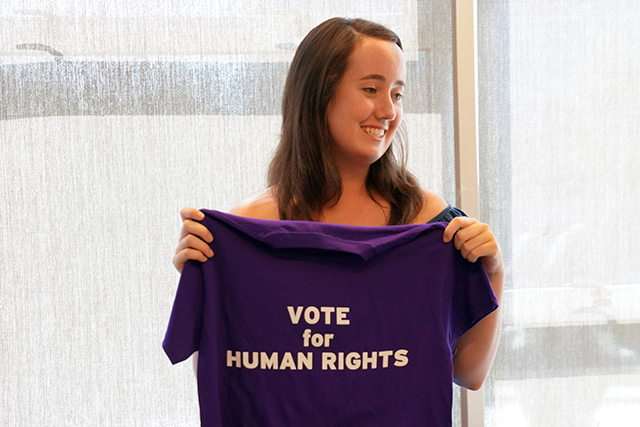 They also shared activities to promote the campaign from tents to t-shirts, to posters and pledge forms.